Posted 3:23 pm by Rena Anya Devéza & filed under Alexander Technique, Alexander Technique Teacher Training. It’s been freezing lately in NYC. I hear that this February is one of the coldest Februaries on record. It makes the top ten most awful list. 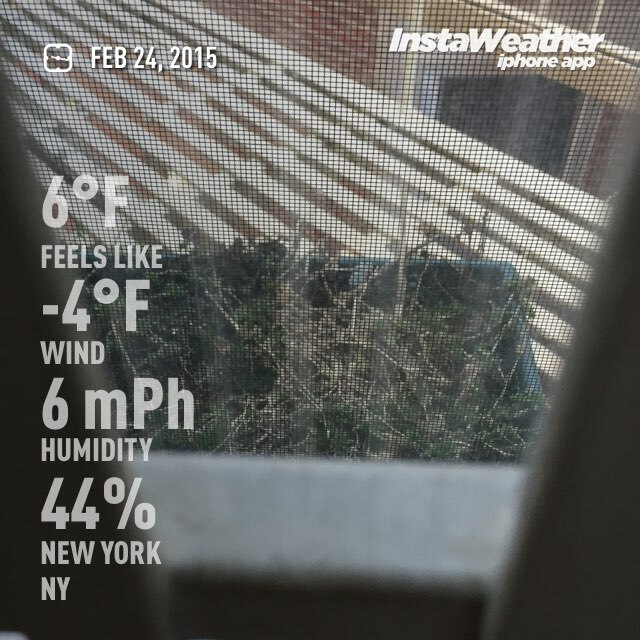 I feel that we New Yorkers have been recently lucky in our winters…well that is…up until last winter and now. Eh. We had gotten a little spoiled. But real NYC winter stuff is back with a vengeance. In the cold, I used to scurry around with my shoulders hunched and rounded over, to try to protect myself from the cold. My faulty habit. Somehow I thought that if I made myself smaller in this way I would stay warmer. Not so. Here I am, smack in the middle of my Alexander Technique teacher training, and said training has straightened me out, both literally and figuratively, in this regard. Now when I walk in the frigidness, I do not round my shoulders in. I find that if I widen my back and my shoulders, and lengthen my spine, I’m not any colder than when I’m hunching in. And, I feel a whole lot better to boot. I’m walking with more elasticity, with less pulling down of course, with more fluidity, with more up. This is all revolutionary for me. I brought this stuff up in training, and Tom my trainer said that when we hunch in, we try to stop ourselves from feeling…either the cold…or whatever…hmmm…this statement sure is thought provoking!